Did you know? Almost 40,000 people ran in the Mumbai Marathon this year! So you can imagine the fitness rage that's sweeping the nation at present. And when the latest trend is this healthy, how can we keep travel away from it? Summer's here and marathon season is shutting shop and so now is the right time of stamina building. What about making those morning fitness stints all the more exciting with a legit travel + fitness goal? Sounds awesome? Challenge yourself with 'Climbing Mt. 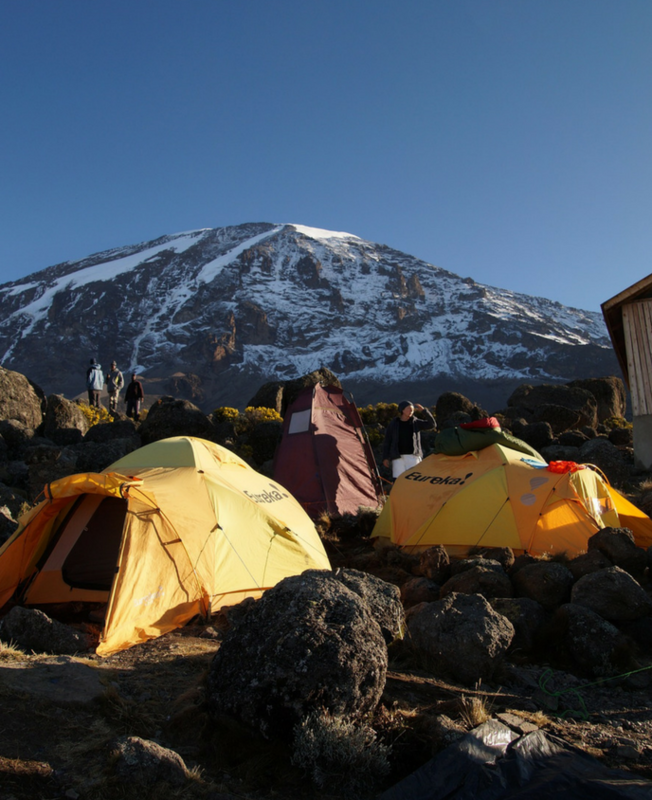 Kilimanjaro' - the Wanderers escorted climb and camp trip! Spread over 9 days, exult in knowing the Kilimanjaro (inside - out). Africa’s tallest and earth's highest freestanding mountain, it towers above the east African plain. Its highest summit is 5895 meters. Temperatures range from 85 degrees F to sub zero. 15,000 people attempt to reach the summit of Kilimanjaro every year and almost half fail. But, the real adventure of climbing Kilimanjaro is in making the journey—regardless of whether the summit is reached or not. Best quality equipment available which includes superior 3 person tents (only utilise by max 2 persons), aluminium tables, chairs, mattresses etc..
Our specially designed preparation plan will get you started months before the climb. 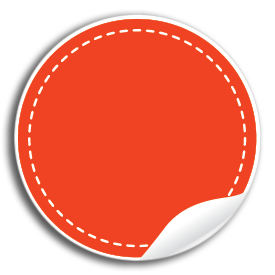 Speak to our nutritionist, gym, trek, and get ready for the big climb. The guides have on average 10 years’ experience and are highly trained on High Altitude Mountain Sickness (AMS), High Altitude Cerebral Edema (HACE), High Altitude Pulmonary Edema (HAPE). Our chief guides carry pulse oxi-meters – small device that measures your blood oxygen levels and take all hikers readings twice daily from day 1 till the last day of the hike, which enables them to detect if a person is suffering from HAPE or not acclimatizing well. Our chief guides also carry emergency oxygen and first aid kits which can be used in case of emergency only – hikers are supposed to bring their own personal medical supplies. As part of all our packages do we included the Kilimanjaro Rescue Team fees – if a hiker gets injured or sick can he call the Rescue Team to evacuate the hiker by stretcher. As part of our Superior and Deluxe packages do we include the Amref Flying Doctors membership which entitles a hiker to be evacuated off Kilimanjaro by helicopter and taken to Nairobi in case of severe emergency – please note tnc’s apply. The Machame route is our most popular and successful route to the summit of Kilimanjaro. Hikers sleep in tents which are portered up the mountain. The Machame route is a very scenic and beautiful route which can be completed in 6 days, however we strongly recommend hiking the route in 7 days, to allow for more time acclimatize. The key to the success of the Machame route is its topography, allowing hikers to climb high and sleep low, helping in better acclimatization. There are however two drawbacks on this route. Firstly hikers will need to pass the area just before the Shira ridge and hike the Barranco wall, both of which are physically demanding and also a potential problem for hikers with a fear of heights. The second problem is that because the route is so successful and other routes joins the Machame route from day 3 onwards, higher numbers of hikers can be encountered on the route. 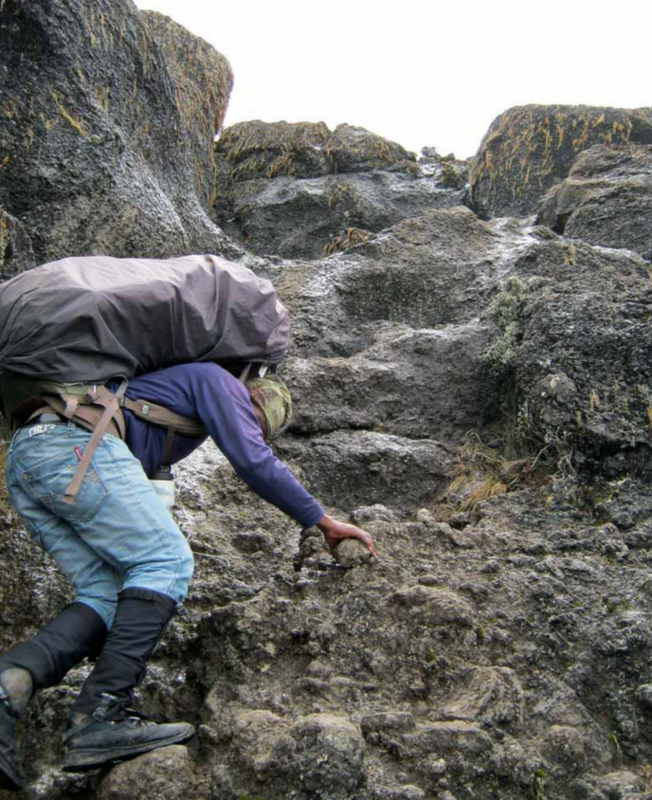 The Machame route uses the Mweka route as a descend route. 8 Breakfasts, 7 Lunches and 8 Dinners - as specified in the day wise itinerary. All meals on the mountain, including lunch is served in a private mess tent. The meals are served with a variety of fruits such as bananas, oranges, papayas, and watermelon. Most meals will also have a selection of hot drinks like instant coffee, tea, and hot chocolate. A typical breakfast is eggs, toast, meat, fruit, and a selection of hot drinks. Vegetarian and other special diets can be accommodated. Because of the exertion and high altitude, we recommend that 3-4 litres of water is consumed daily. 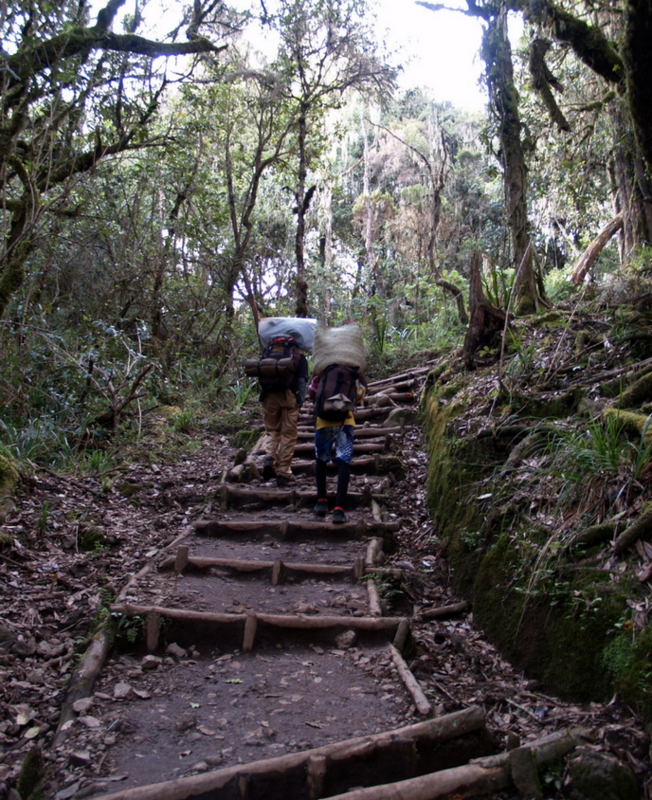 The porters will boil water along the route. The Lemosho Route is a beautiful scenic and unspoilt route and sightings of wild game in the forest section is a regular occurrence. It is one of the less crowded routes up Kilimanjaro. Additional Services - Private arrival and departure transfers, portable toilet tent, climbing Kilimanjaro cap. Many hikers believe that the Marangu route is the easiest route to Uhuru Peak. The only route offering accommodation in A-frame huts, equipped with beds and mattresses at every campsite. Mineral water, soft drinks, beer and chocolates are also sold at most camps. 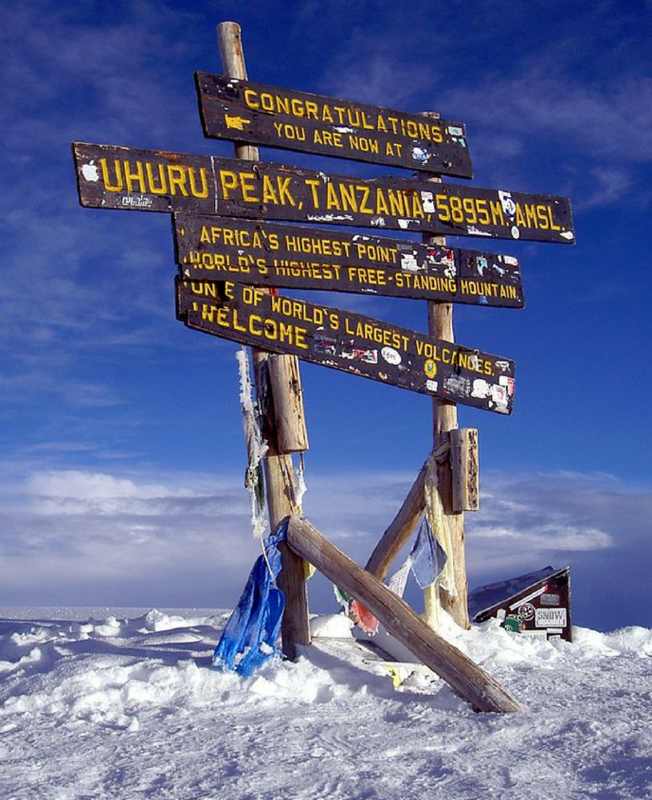 It is a fact however Marangu route has one of the lowest summit success rates of all routes up Kilimanjaro. Rongai route retains a sense of unspoilt wilderness and offers a different perspective on Kilimanjaro by approaching it from the north. The Rongai route's premier advantage is that it is one of the quietest routes on the mountain. A disadvantage is the long travel time to the starting point of the route. The Umbwe route is known for its caves. The first night you actually sleep at the Umbwe Cave Camp with two more caves that can be visited en route the following day. It is one of the shortest routes to the Southern Glaciers and the Western Breach. It is probably one of the most scenic, non-technical routes on Kilimanjaro.